Yoga set us all on the transformative path that helps to awake our best selves, letting us live fully with joy, intention, and compassion. A regular yoga practice gifts us many benefits that allow us to be naturally happy, healthy and emotionally stable. 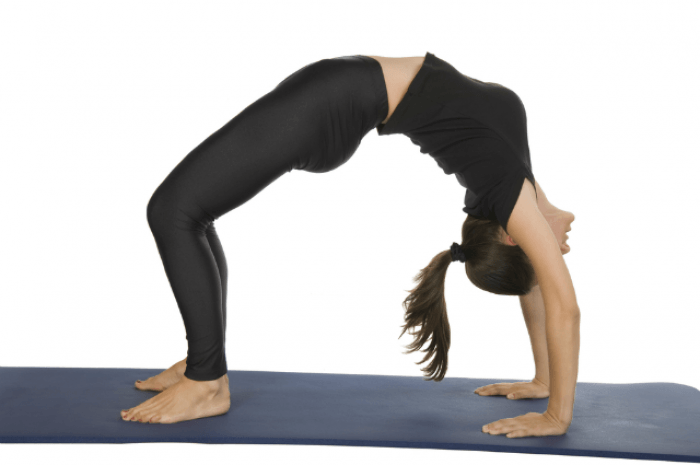 But to achieve this, the most important element is the proper sequencing of asanas. A well-sequenced session can easily reach the skin and muscles, letting us achieve the maximum benefit from the session. Sequencing the yoga practices is extremely beneficial for maintaining a good health by gaining fruitful results out of it. The article shares few Yoga sequences valuable for your healthy lifestyle. Did you know that Yoga is good for heart’s physical and metaphysical health? Yoga helps to lower cardiovascular risk factors such as high cholesterol levels and blood sugar levels. It improves the circulatory system by supporting regular heart rhythms. When it comes to emotions, Yoga supports a healthy, open heart. When you are practicing backbends, you must try to distribute the space as evenly as you can throughout the spine, and focus on the right part of the back. Inhale and move your right leg up and then back behind you. Bend the knee and open up through the hip. Slowly transfer your weight onto your right hand and onto the outer part of your right foot. With the feet grounded on the earth, lift up through the hips, open the heart by extending your left arm from your heart, allowing your head to hang back. Keep breathing and enjoy the pose, expressing your power and freedom. Lie down with your feet grounded on the surface, hip distance apart. Find a neutral place for the lower back. Ground the shoulders to the mat and reverse the palms of the hands on either side of the ears. Press the toes, inhale and lift the hips up. Use your core muscles to lift your hips as high as possible. Allow your head to hang back and breathe easily through the nostrils. This is also called as Bridge Pose. Bring the hands closer towards the shoulders so that the back forms a concave arch with the floor. Adjust your feet parallel with your feet toes. Sweep your arms upward overhead. Join your hands together in Namaskar Pose in the middle of your chest. Turn to the right side of your shoulders without moving your hips or knees. Slide your hands back until your wrist aligns with your elbows. When you inhale, focus on lengthening your spine by stretching outward through the top of your head. Breathe out to draw your shoulder bones together and further down your back. Hold the posture for seven breaths and then repeat on the other side. 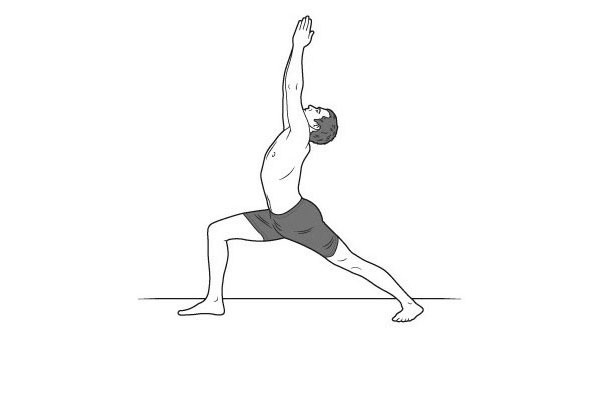 It transforms the intensity of mythological Hindu warrior, Virabhadra into a pose that builds focus, power, and stability. Step your left foot back to the rear of your mat. Turn your back heel down to the ground. At 45 degrees, turn the toes of your back foot. Bend through your front leg, stacking your front knee directly above your ankle. Reach strongly through your arms, lifting the ribcage away from the pelvis. Square your torso forward and reach your arms upward over your head. Turn the feet forward and release the arms with an exhalation. When you’re finished return to Tadasana or mountain pose. Hii! I’m Nancy Wile, an advanced yoga teacher and the founder of Yoga Education Institute California. I do my best to help all my students find a sense of ease and mindfulness in each posture that they can then incorporate into other aspects of their lives. I want you to come and join yoga workshops as you are and have some fun, and know that everything you need is right there inside of you.